Goodreads: When her grandmother’s will wrenches Sara back home from New Orleans, she learns more about Margaret Van Buren in the wake of her death than she ever did in life. Kritters Thoughts: A dual narrative that hit the spot on a spring weekend. 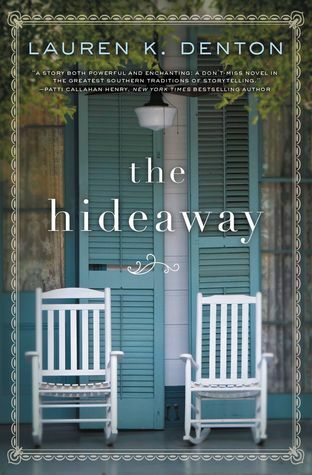 Sara returns to a small town in Alabama as her grandmother has passed away and she must return to pick up the pieces of the town that raised her. Mags/Maggie/Margaret is the grandmother that raised her after her parents die with Sara at a young age and she raises her granddaughter, but she didn't reveal herself much to her granddaughter. I love a dual narrative when the reader knows what is going on in both stories and how they match up from the beginning. The reader knows that Mags is Sara's grandmother, but the mystery lies in the life that Mags had before Sara was alive. There is a quote in the book and at the time of writing this review, I can't find for the life of me, so I will semi quote it - "Isn't it interesting that our grandparents have this whole life before we are born and we don't know to ask about it until we are older and they are possibly gone." I don't have any grandparents alive and haven't for awhile and this book in a sad way reminded me how much I wish they were alive to tell me the stories of their childhood to/thru adulthood. This book hit me in just the right spot. I loved curling up with it for a day on a rainy spring weekend. I was excited to read that this was her first book and hopefully she has quite a few more up her sleeve! Like you, I enjoy dual narratives when I know how they match up from the start. I love seeing how the two stories come together.